The Constitutional Court of BiH once again proved by its decision to challenge the 9 January as the Day of Republika Srpska that it is governed by political rather than legal criteria when deciding, and that it fully took on the role that the OHR had in the past – said the President of Srpska Željka Cvijanovic reacting to today’s decision of the Constitutional Court of BiH. – Unfortunately, this decision of the Constitutional Court of BiH will additionally violate the already fragile confidence of the citizens of Republika Srpska in this institution, which, obviously, the agenda is mostly dictated by political Sarajevo – said the President Cvijanović. 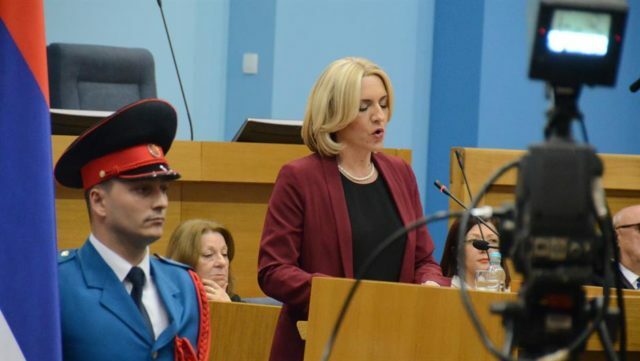 – The fact that the BiH Constitutional Court, in which the foreign judges sit, deals with the issue of holidays, and BiH is not able to make even the slightest advance, and even to form the government after the elections, it speaks about its general state – she said. Cvijanović said that a common future can not be built on negation and denial.